A lot of kids dream of one day being on TV, especially on Nickelodeon or Disney Channel. Well, Jack Griffo is living that dream. After moving to LA at the young age of 13, Griffo eventually landed the part of Max Thunderman on Nickelodeon's show "The Thundermans." The show follows a typical suburban family with secret superpowers. The show focuses mainly on Max, Griffo's character, and Phoebe, his twin sister who is played by Kira Kosarin. While Griffo is loving his life on Nickelodeon and taking advantage of every opportunity there, he also has his sights set on the future, and is taking acting classes at Stella Adler in efforts to continue to expand his knowledge. When he's not acting, Griffo spends his time playing music, and has some cover songs featured on his YouTube channel. More recently, Griffo completed his work portraying a child named Noah on a film called "Those Left Behind." We had the chance to chat with Griffo about his inspiration, his acting beginnings, and much more. Check out our interview below! #YouShouldKnow is a feature that showcases rising talents. 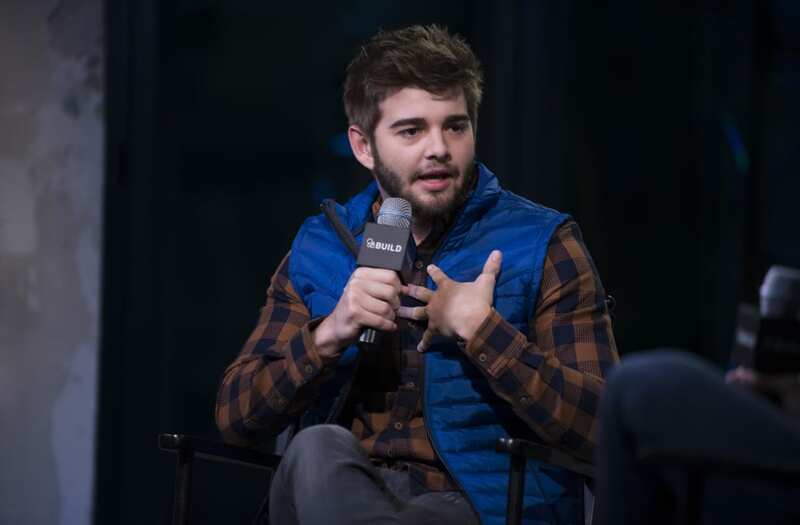 To see more past interviews, including more features on Jack Griffo click here. I started doing stuff in my hometown, in Orlando. My older brothers were really into it, and they went to a theatre magnet high school, which I wanted to do too. I started in the community theatre, and that's how I grew to love acting and developed my desire to pursue it full time. At age 13 or so -- that's about two years after doing theatre -- that's when I started doing on-camera classes downtown at a film and TV school. That's when I was encouraged to move out to LA, and started auditioning, and then I booked "The Thundermans" at age 16, and that's pretty much it. What was the moment you realized it was your big break, maybe an audition? For me, it hasn't happened yet. The game changer will be the role after "The Thundermans." It's not easy, but in the Nickelodeon/Disney circle you're set up for a certain outcome with auditions. If you're training and you have the talent and what they're looking for, it's just a matter of time until something works for you within the Nickelodeon and Disney network. It did work for me, and getting to be involved there has been great. It's been an awesome experience, and has given me different opportunities that I wouldn't have had otherwise, but I think what I'm looking for is going to be the next thing. That will be my big break or my game changer. I'm excited for the future. I felt like I was ready to move on earlier in the show, but I really began to appreciate everything in season 3. I started to view the next thing, whatever comes after "Thundermans," as the next big thing. I am going to keep studying and preparing and working and stretching those other muscles that maybe aren't exercised on the "The Thundermans." I'll just be more ready the more time that goes by. What's been your favorite thing about acting so far -- what drew you to this profession in the first place? It was on display for me at such a young age, and then after trying it myself -- as an actor, I was hooked. It's hard to really articulate what it is that drew me to it. I think it's the sense of being able to tap into something else, and the feeling that I'm not thinking like myself. That's more of a recent development for me. I have a great team behind me who's encouraged me to get myself out there, and take risks, and take classes that are hard. I'm studying different techniques, I'm at Stella Adler right now. I did my first session last fall and it was great, it changed my life. I think that going out and doing things that make you uncomfortable or are a little risky -- those things are the best ways to succeed. You mentioned that you were in theatre, you're now on a well-known TV show, you're taking some serious acting classes -- what do you hope to do with all of this next? I think "The Thundermans" has been working really steadily for four years, it's given me a work ethic. I have to get up and be there and be prepared. That definitely affected me as a 16 year old, because all of a sudden I had to carry this responsibility. I see myself taking that work ethic to the next place I go, whether that be a series, or a movie, or theatre -- I don't know what it's going to be. That's the fun exciting part. When it [The Thundermans] is over and done, the next steps are really open for me. Nickelodeon has created a lot of opportunity for me, but has also closed me off from other things, so to know that I'm not going to be hindered by anything will be cool. It's going to be a cool feeling. How do you feel like social media has helped move your career along or given you a platform to show who you are? It definitely gives an insight. I think for supporters and fans out there of the show, or of me and my YouTube videos, they like it. It gives them a little bit of insight into our lives and what we do. Other than that, it's also good for casting. In the past five years it's definitely become a part of getting roles. It's a little bit of a shame that it's what's looked at when casting, because that's not what it's about, but I understand it. It's a marketing thing, it's a business. You mentioned YouTube and music, do you want to fill us in on how you spend your time when you're not on camera? I'll either hang out with my friends or play music. I'll play on my guitar and play songs by my favorite bands and practice and get better. I'll watch Netflix a lot. My downtime is pretty boring, I work so much that I like to not do anything when I have the free time to. The most energy I'll exert is working out -- I'll go to the gym. What is your relationship like with your fans, whether that be on social media or in person? It's interesting because I'll forget to post a lot of the time. I check my social media a lot, but it's usually about following what my friends are doing. I'll completely forget about my posts. Of course, I appreciate social media and I appreciate my fans. It means people watch the show, but the fact that people keep up and look at social media -- it's cool and it's flattering. It can be used in interesting ways. Nickelodeon has given me a great platform, especially online. People follow my Instagram or my Twitter and it's been great -- not that it's going to get me farther or whatever it may be, but it's an opportunity. What advice would you give to aspiring actors and people wanting to work in this industry? Over the years in LA, I've seen kids come and go -- from wherever they're from, Texas, Oklahoma, Kansas, wherever. I see them come and go. The thing that nobody realizes or wants to come to grips with is that this is a lot of work. If I could give advice or give someone a fair warning, it would be that this isn't a walk in the park. If you're coming to LA expecting something, don't. It took me a solid two years before I booked anything -- I mean I did small things, but it wasn't until 13, 14, 15, 16 that it started to click. I had been fine tuning everything and when I was 16, it was finally starting to work. I would just say that these actors and actresses should get ready to work, and that's really where it matters and counts. If that work is done for your audition, if you do your backstory and research for the role and know your character, then everything else follows. It's the work first, everything else follows.